The Book of Imaginary Beings by Jorge Luis Borges is, without a doubt, one of the most important literary contributions to the art of the bestiary. 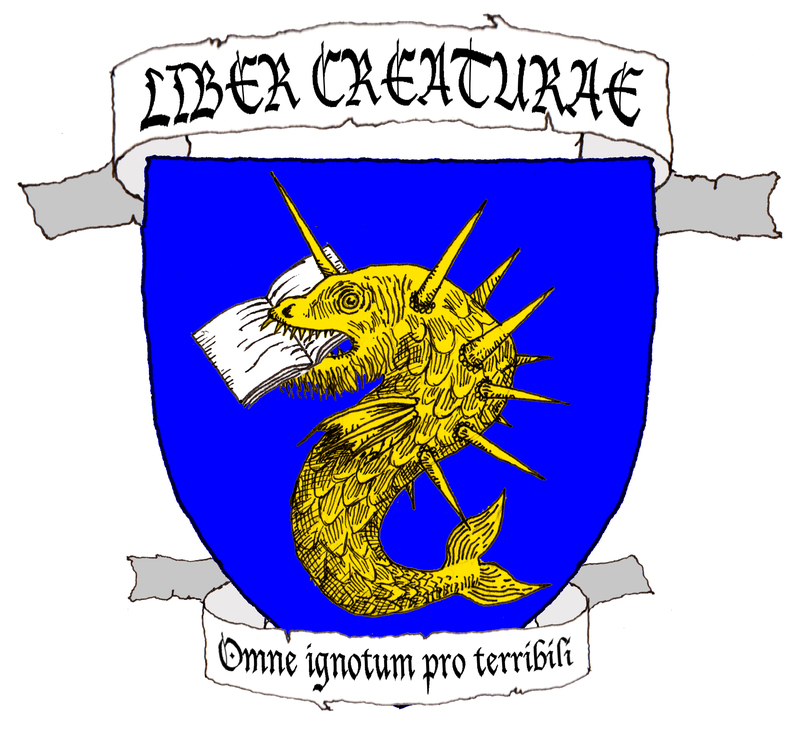 Its litany of obscure creatures laid the groundwork for the modern encyclopedia of mythical beasts, and ensured its citation in hundreds of works to come. Borges was more interested in making an artistic and creative statement than in writing an exhaustively researched academic paper. As such, his references can be murky, unclear, hard to find, and, in some cases, completely fictitious. Later works came to quote Borges without attempting to track down the veracity of his statements. As Hurley notes with chagrin, it is “simply impossible to ferret out all the originals”, and “some of [Borges’] “quotations” are almost certainly apocryphal, put-ons”. The creatures discussed here are in the latter category. The A Bao A Qu is said to live in the Tower of Victory in Chitor. 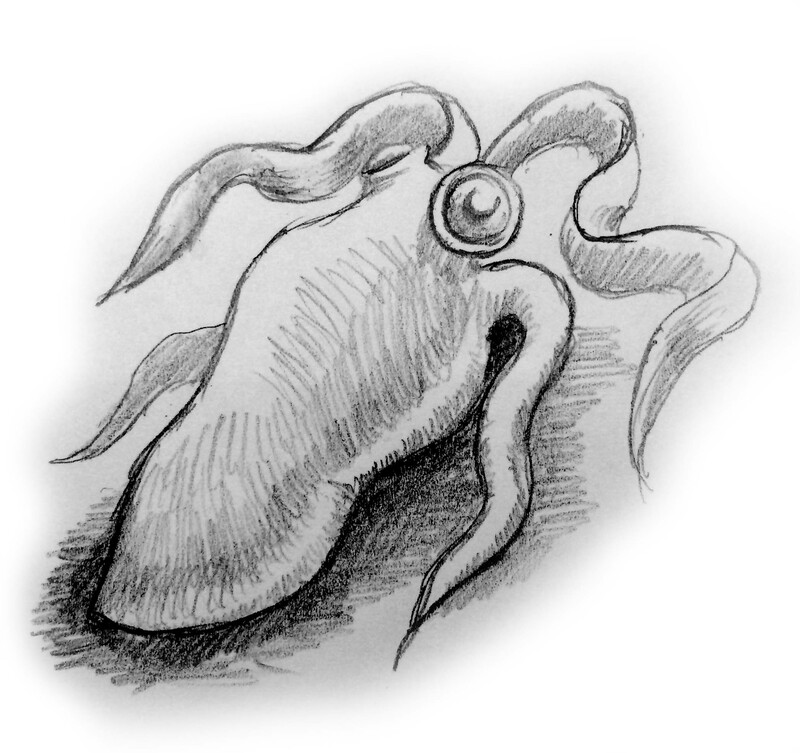 Its appearance is uncertain, but we know it has tentacles, can see with its whole body, glows blue, and has skin like that of a peach. It follows pilgrims climbing up the stairs of the tower, but can only reach the top if the climber is a blameless person who has achieved Nirvana. Otherwise, it moans with a sound like rustling silk and tumbles down the stairs to the base, where it waits for the next pilgrim. This story was originally attributed to Captain Richard Francis Burton (el capitán Burton), in an unverifiable footnote to the Arabian Nights. The original English translation changed that to the fictitious treatise On Malay Witchcraft by one C. C. Iturvuru. Was that believed to sound more mysterious? Were editors were concerned that contemporary readers would not be familiar with Burton? At any rate, searching for this entirely fabricated monograph is futile. 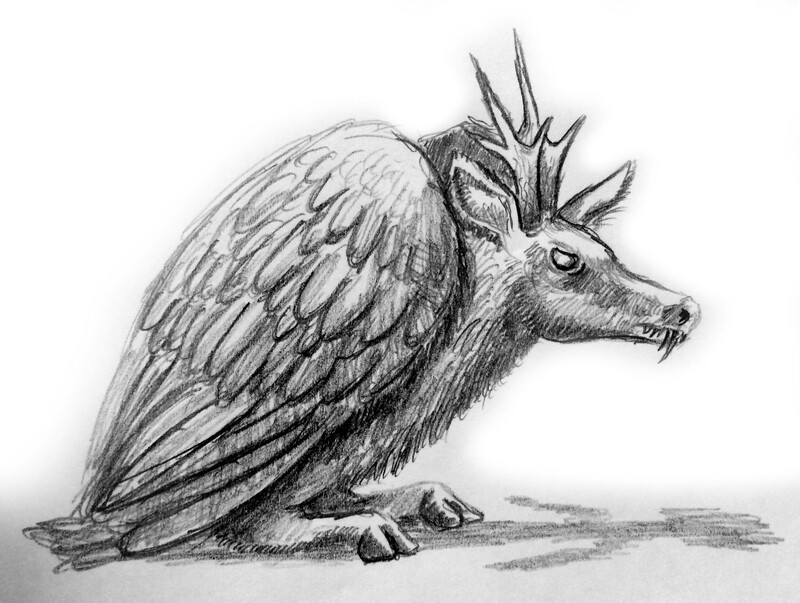 The Peryton, Perytion, or Peritio has achieved even greater fame, stripped of any Borgesian references and included in less discerning bestiaries. This carnivorous monster is a hybrid of deer and bird, with dark green plumage (or blue in Ravenna). Its oddest feature is its shadow, which is human. This is because perytons are believe to be the souls of men that have died away from the blessings of the gods. Perytons seek out humans to kill, but each peryton can only kill one man – after doing so, a peryton’s shadow becomes its own, and it is at peace. Perytons originated from Atlantis, decimated Scipio’s army, and were foretold to destroy Rome. Borges attributes this to manuscripts written by one Aaron-ben-Chaim from Fez. These manuscripts quoted a nameless Arab author, and all copies conveniently perished in the burning of the Library of Alexandria and the Dresden firebombing. Are the A Bao a Qu and the Peryton any less real than the basilisk and the unicorn? Repeated countless times, with their origins behind them, they are just as credible as any other nonexistent creature. After all, as told in Tlön, Uqbar, Orbis Tertius, an imagined world can be just as legitimate as the real world. We just have to remember that they remain literary in-jokes born from Borges’ pen. Borges, J. L. (1962) Ficciones. Grove Press, New York. Borges, J. L. (1978) El Libro de los Seres Imaginarios. Emece Editores, Buenos Aires. Borges, J. L. (2009) Manual de Zoologia Fantastica. Fondo de Cultura Economica, Mexico.